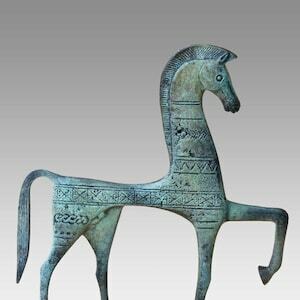 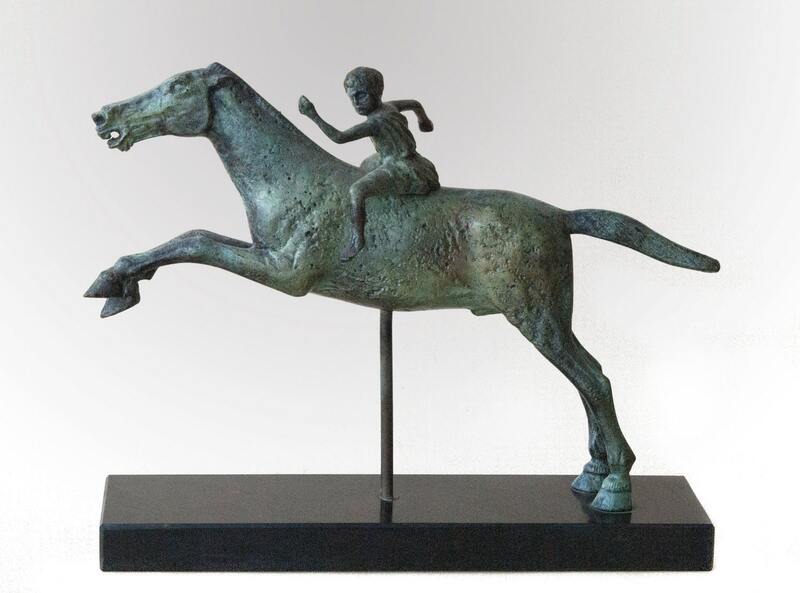 Bronze Greek Horse & Jockey, Large Metal Art Sculpture, Ancient Greece, Museum Replica, Horse Statue, Equine Decor, Greek Art, Art Decor. 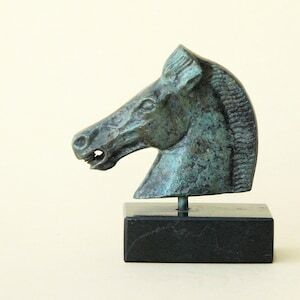 in the National Archaeological Museum in Athens. 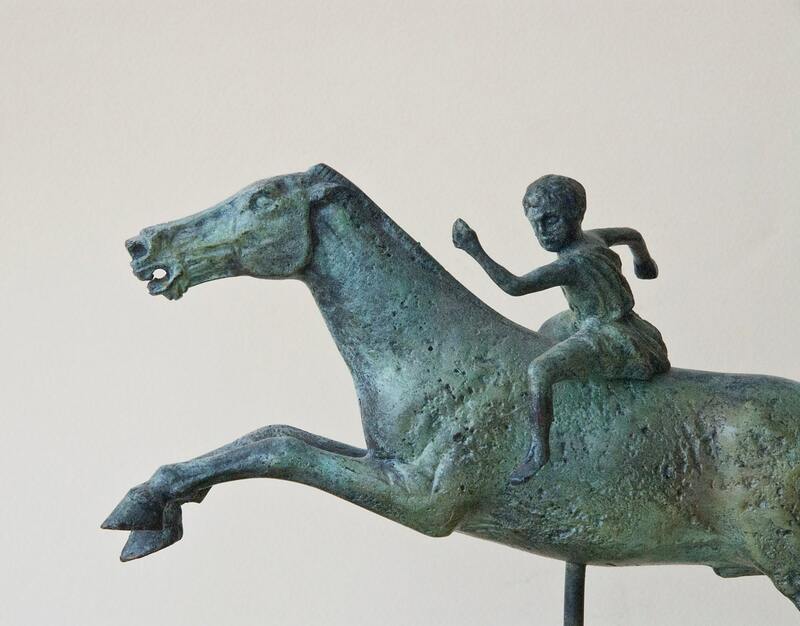 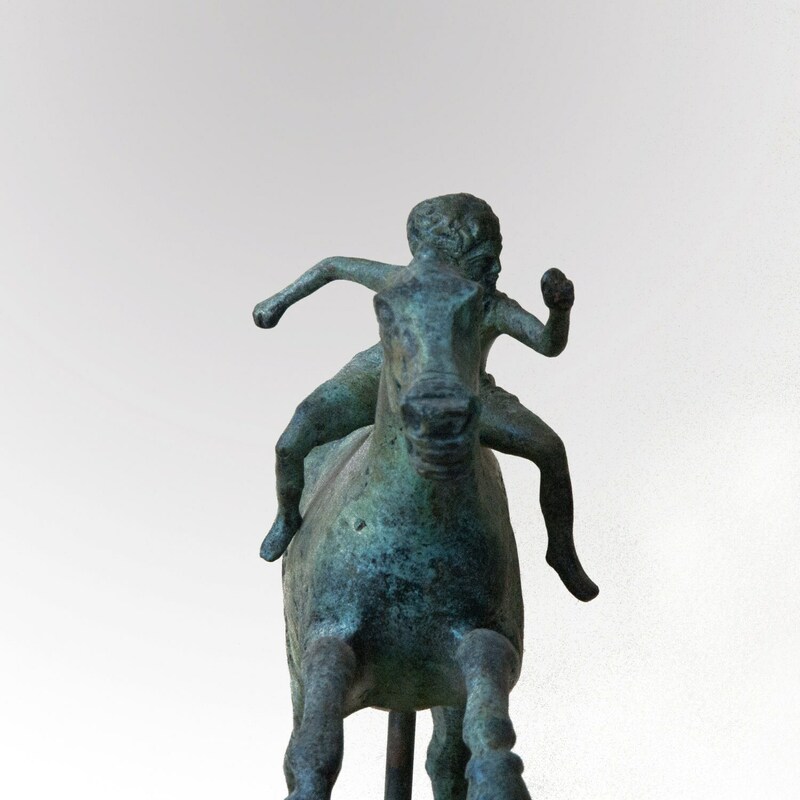 The Jockey of Artemision is a large Hellenistic bronze statue of a young boy riding a horse, dated to around 150-140 BC. 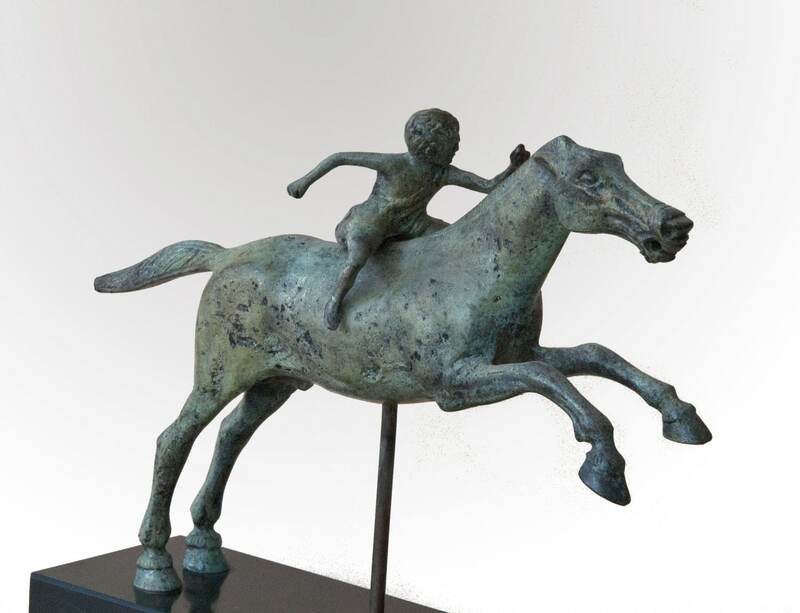 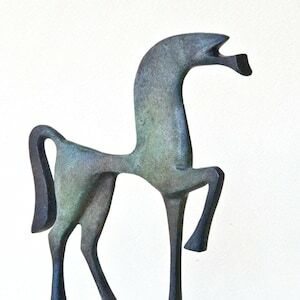 It is a rare surviving original bronze statue from Ancient Greece and a rare example in Greek sculpture of a racehorse. 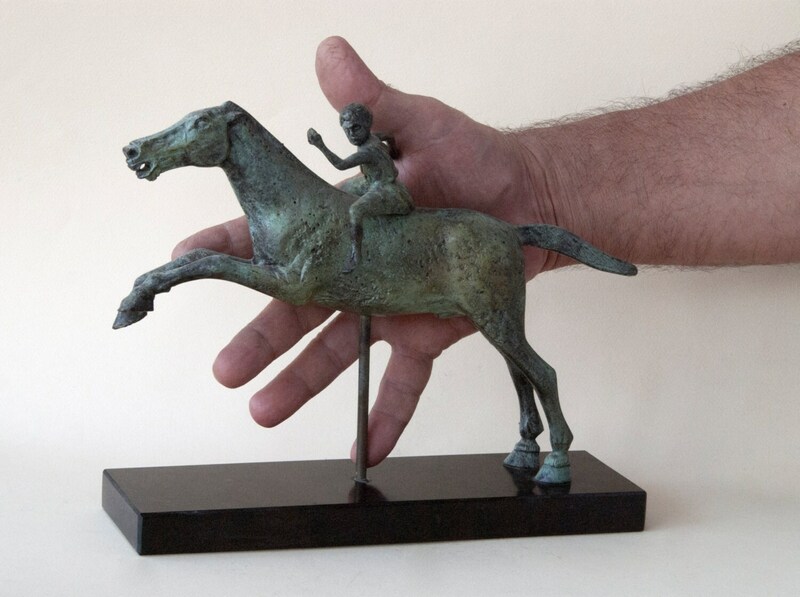 standing on black Greek marble base. 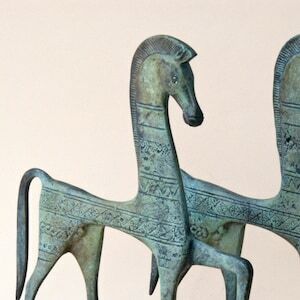 Width: 10 inches / 26 cm approx.